I am trying to obtain the winners lists for Waitrose competitions. Have you sent for a winners list lately, and not received a reply? Please leave details of the competition as a comment on this post, thank you. I've sent for a couple of Waitrose Winners Lists and had no replies. Hopefully they will take more notice of your requests than mine! Is it common for the same person to win a competition two months in a row for the same prize? We can't confirm but the winners are chosen at random so this is a possibility. Thanks. Hello Abbie, thank you for the comment. Could you please email me with more details of this competition. 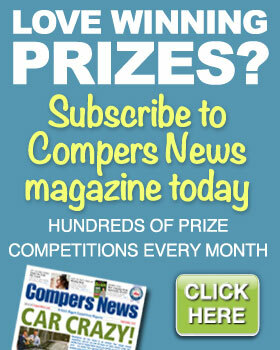 compingcrusader@compersnews.com Thanks again. Wow! That sounds like an amazing set! Many congratulations! I would be really interested to know a contact and email address for future reference please? Well done again!